With the cost of power rising dramatically and increased uncertainty of global power availability, corporate management is more focused than ever on managing and conserving energy. Nowhere is this more critical than in the data center, which can consume 25% of an organization’s total energy. 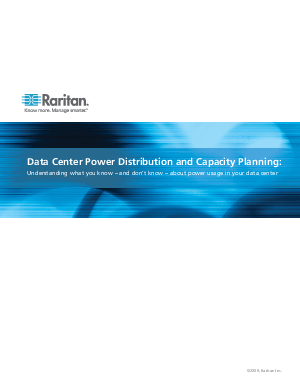 Raritan and PTS Data Center Solutions examine the myths and realities of power measurement. Learn what instrumentation helps calculate your data center power efficiency and how to set standards to align with the Green Grid.